FRIDAY, Aug. 3, 2018 -- Some types of bacteria are developing tolerance of alcohol-based hand sanitizers used in hospitals, according to a study published in the Aug. 1 issue of Science Translational Medicine. 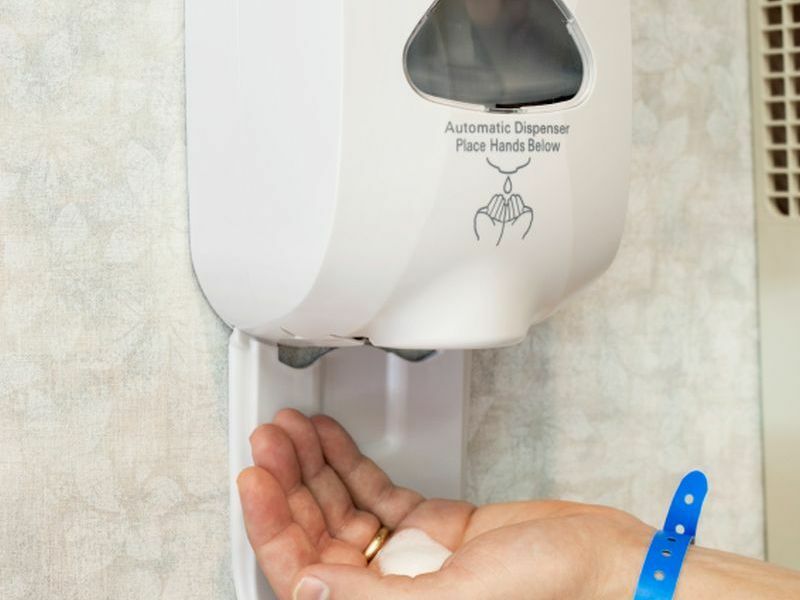 The introduction of these sanitizers into hospitals led to reductions in staph infections in patients and certain kinds of drug-resistant bacteria, but there was a rise in enterococcal infections, NPR reported. Worldwide, enterococci account for 10 percent of bacterial infections acquired in the hospital. In North America and Europe, they are a leading cause of sepsis. This study found that several strains of enterococci bacteria are becoming more tolerant of alcohol-based hand sanitizers. That doesn't mean they're resistant to the alcohol, but can survive exposure to it for longer periods of time, NPR reported. Most hand sanitizers are 60 percent alcohol. The researchers found that a 70-percent alcohol mixture was needed to eliminate the alcohol-tolerant strains of enterococci bacteria. They also found that many of the strains are resistant to a number of drugs. For example, half of the strains were resistant to vancomycin, a last-line antibiotic, NPR reported.